Smartphone manufacturers are tussling with the conundrum of how to add more screen to their handsets to improve movie watching and the experience of running multiple apps side-by-side, whilst keeping the overall form-factor small enough that it can actually be used as a phone. Samsung is adding a foldable display to its next-generation smartphone, which unfurls like the pages of a paperback to offer more screen real estate on a whim. Rival manufacturer LG is purportedly looking to solve the same issue with a secondary screen that can be attached and detached from the main handset to increase or decrease the size of the display, depending on what you're doing. 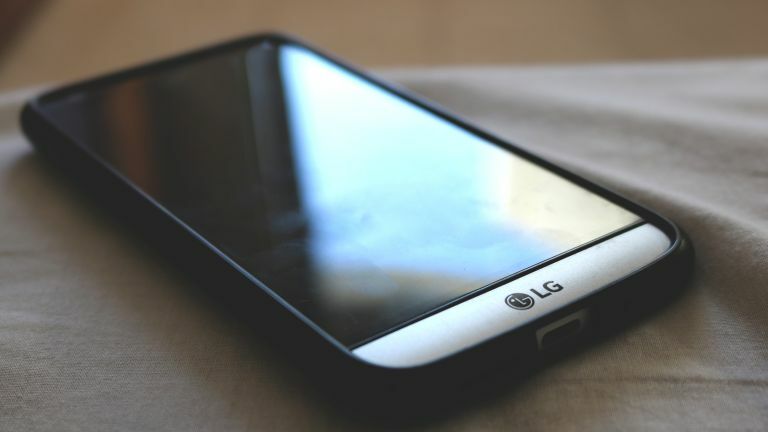 According to anonymous sources speaking to Cnet, LG plans to unveil its next-generation handset at the Mobile World Congress tradeshow next month. The optional secondary screen will be included in an accessory that resembles a protective folio-style case. This could mean that LG is able to sell its next-generation handset for considerably less than folding rivals from Samsung and Royole, which are sold as a single unit. The Galaxy X is rumoured to cost in excess of $1,400 (£1,112 converted) thanks to its new pliable OLED technology, and dual screens. Of course, it's possible the latest from LG will reach a similar price point when you buy the handset and the optional secondary screen together, but at least there's the possibility of separating the two purchases in order to spread the cost. Another advantage of this detachable approach is that you can leave the accessory behind if you know you're not going to need the additional screen real estate. Unfortunately, the report in Cnet does not clarify whether this new technology will be included in a mainstream flagship smartphone, like a new addition to the LG's previous G Flex series, for example. We expect to see the Samsung Galaxy X in the flesh during the next Galaxy Unpacked keynote event, scheduled for February 20, 2019 in London and New York.